The past few weeks have been a lil’ busy, but Worth Reading, our collection of the best games writing around, has returned. Let’s start off with a close examination of a beloved RPG that’s never gotten an official release. 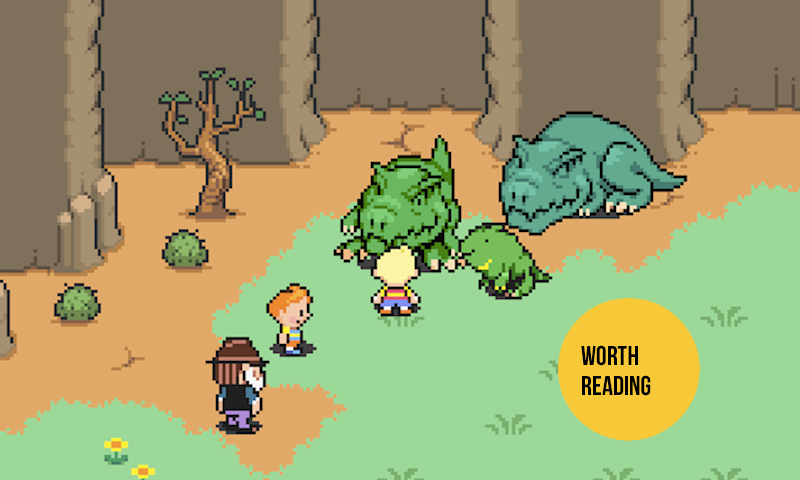 It seems inevitable that Nintendo will release an English translation of Mother 3 at some point, but that day is not today. (And probably not tomorrow.) In the meantime, it’s helpful to read Bob Mackey’s thorough and fascinating account of the game’s history. I remember seeing screen shots for the Nintendo 64 version over the years, and knew that one was cancelled to make way for the GBA version, but I had no idea Mother 3 for GBA was announced in a frickin’ TV commercial?? The more you know. It’s remarkable that Sonic the Hedgehog’s Twitter account is more interesting than any video game featuring the blue speedster, but that’s 2016 for you. It’s going to be really weird (and funny?) when the next proper Sonic the Hedgehog game is released and is, inevitably, mediocre. I actually left Sega in 2014. Then, when Sega decided to downsize and move to Los Angeles and Sega of America kind of restarted and made a new Sonic team, they asked me if I would come back to manage the social media side of things. So I had a look at it, and to be honest, it was kind of boring. A lot of the posts were very comfortable, very corporate, very bland marketing. Buy this, support this, check this out. I felt like Sonic’s attitude wasn’t there. Sonic and Sega, especially in the ‘90s, had such a signature attitude, and that’s what made them stand out so much. They were the antithesis of the safe Mario brand. I decided to test the waters a bit by posting some funny stuff, as opposed to just trying to promote products or trying push marketing things—just have some fun with it and engage with fans in ways that maybe they weren’t expecting. I didn’t know what the response would be, I was a little bit nervous at first about it. But the reaction that we ended up getting was very good, and so that ended up growing the direction that we went in, and the signature attitude that Sonic has had came back a little bit. Shmuplations translated an exhaustive interview about making Final Fantasy Tactics, a game I keep telling myself I’ll play someday. Marcus Garrett relayed his experience hearing racist language while playing Overwatch. Kris Ligman interviewed an elderly woman famous for playing Skyrim on YouTube. Luis Baez contemplated what Capcom’s ban on certain sponsorships (cigarettes, alcohol, etc.) means for the future of the FGC. Rafael Montero examined how Dark Souls and Boktai (!!) cleverly play with narrative. Ashley Muddiman and Natalie Jomini Stroud summarized the comments on The New York Times after examining 9,616,211 comments. Keza MacDonald tried to find solace after UK’s heated Brexit vote.